I’m featuring one of the reader questions today from T.S. Even though she has BSL hair, she’s suffering from a damaged hairline. You can see all the other questions I’ve answered in the Ask Abi series by viewing the answer archives HERE. “I have been using Jamaican Black Castor Oil on my edges for 7 months but I still can’s see results. Now, I’m mixing JBCO with amla oil, maybe I’ll see better results. Please help. Only my hairline and edges are damaged but my hair length is bra strap length.” – T.S. Quite a few people make the mistake of thinking the application of Jamaican black castor 0il on the edges will automatically solve the problem. What led to the damaged edges? Have you stopped doing whatever that was? If you weren’t involved in bad hair care practices, are you eating the right foods and staying hydrated? Internal hydration is very important for healthy hair growth. Have you eliminated the possibility of an underlying medical condition such as iron deficiency and low vitamin levels? There are several chapters in The Ultimate Hair Growth Guide dedicated to diet, hydration and vitamin levels when it comes to hair loss. Since your hair is BSL (bra strap length), we know you don’t have hair growth related issues. At first glance, it’s something regimen related that might be causing the problem. If you have answered all of the above questions, carried out all necessary tests and determined everything is fine internally, then we need to look at the product application method. Eliminate amla oil. This isn’t specifically useful for recovering a lost hairline. Additionally, most alma oil on the market contain mineral oil and/or liquid paraffin. Bad combination! It’s best to make your own amla oil with natural amla powder and castor oil, coconut oil or grapeseed oil but this is a remedy that works best for shedding and hair fall. Amla powder is one of the remedies covered extensively in The Ultimate Hair Growth Guide: Recover from Hair Loss. Regrow Bald Spots. Fill in Thin Areas. 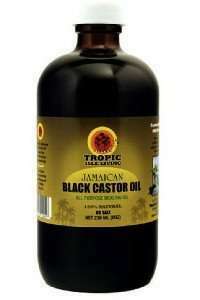 Fill the 8 oz bottle with the Jamaican Black Castor Oil. 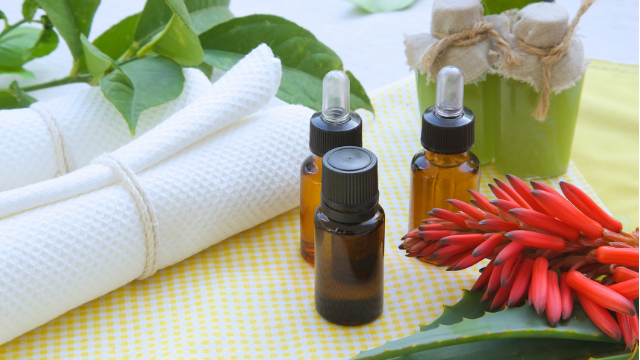 Add the rosemary essential oil, eucalyptus essential oil, peppermint essential oil, and tea tree essential oil. Crush the biotin pills very finely then add it to the mix. If you’re using liquid biotin, add 5 drops to the recipe. Leave overnight for the products to immerse properly. Apply every evening to your hairline. Give the bottle a shake before application. Massage in a circular motion for up to 10 minutes using the inversion method. I know it’s annoying but it works. If you’re not sure how to use the inversion method, download a free resource HERE. There’s no need to wash out this treatment until your next full regimen day. Stick to this treatment for at least 6 months before you begin to consider something else. Don’t wear sleep caps with elastic bands as this will put a strain on your edges. Instead, go for a silk or satin scarf. In case the scarf slips off while you’re asleep, you can also use a silk or satin pillowcase. For best recommendations on this, read Benefits of Sleeping on a Silk or Satin Pillowcase. While you’re undergoing this treatment, it’s best to keep away from hairstyles that involve pulling your hair back from your hairline. Some hairstyles that fall into this category include low or high buns, ponytails, and extensions where your hairline isn’t left out. 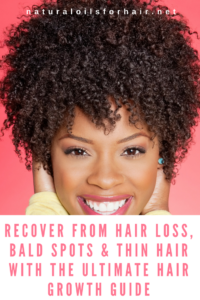 In addition to the above, you need to eliminate any other harmful hair care practices if you want this recipe to work. If you have relaxed hair, I recommend spacing out your relaxers a bit. Instead of the usual every 8 – 10 weeks, try extending to 16 weeks. When you do apply a retouch, apply the relaxer to your hairline last and leave on for only a short time before rinsing. 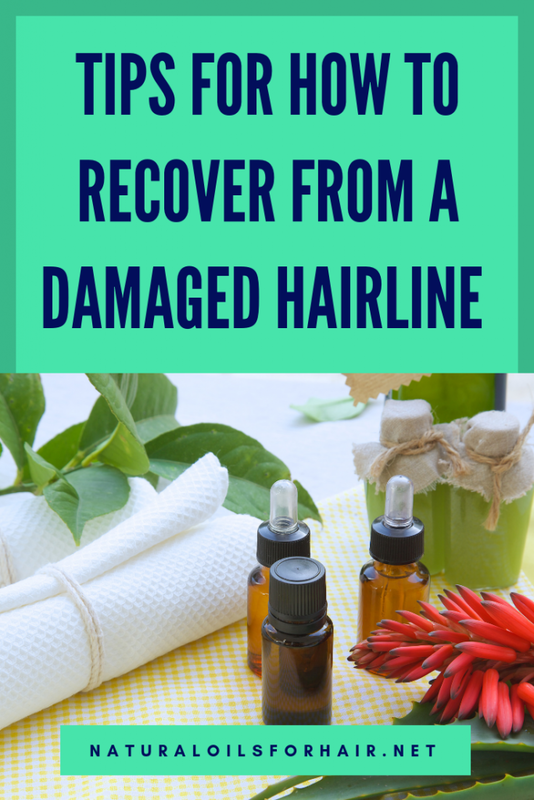 I also encourage you to check out the articles below for other oils you can try if you feel Jamaican black castor oil just isn’t bringing it home as you expect.